We arrived on the night some time around first or second week of April way back in 2012. I was too excited to see the crazy nightlife that everyone has been talking about. And to my surprise, we didn’t know that the date we booked coincides with a death anniversary of a member of the Royal family. The bars were not allowed to serve liquor neither can they play loud music. . Aww man! So we just had dinner somewhere near the hotel where we stayed, not in a fancy restaurant as we believed the more filthy the eatery looks the more authentic the food will taste. haha. . i had pad thai for the first time and it was awfully delicious! Then we slept. . . IMPORTANT: 1). i don’t have my camera with me that time 2). a lot of my colleagues were into photography, 3). so the pictures aren’t mine. These are all my colleagues’ (actually most are Gerard’s) and I admire them for their really good eye in seeing the ultimate angle to capture the exemplary picturesque in Phuket. 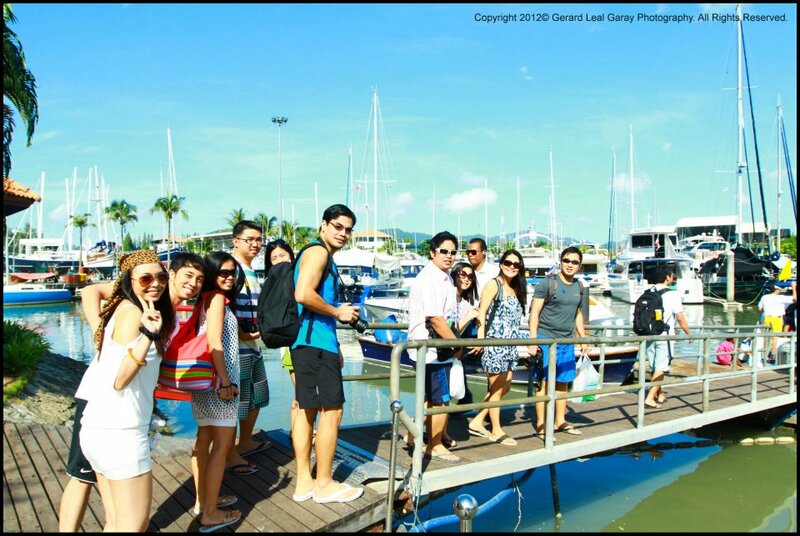 The whole gang at the pier. .
oh how can you just click on the camera and result to a photo as perfect as this? even with a little touch of the photoshop, it is still very beautiful. Truly the scenery when you started seeing islands away from the pier is so amazing. The tour is almost perfect, almost! except for one thing! I just really hated how mainstream the islands are. 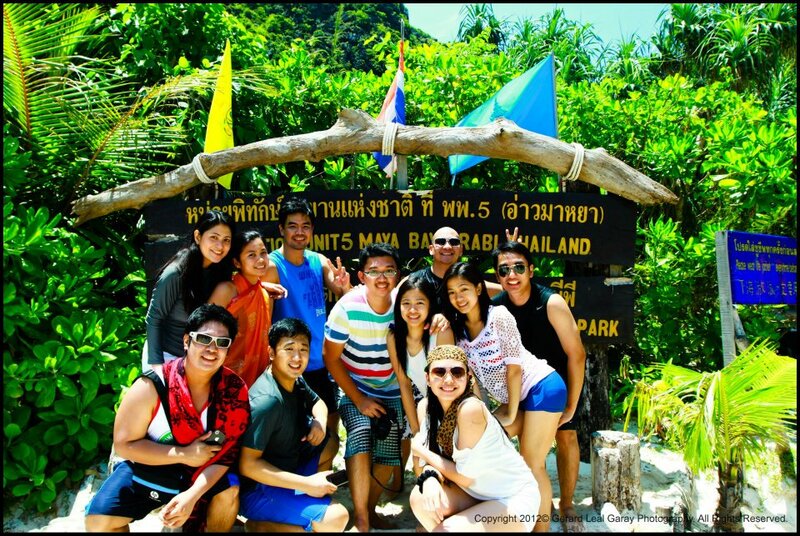 I have not included here the photos of the toooo mannnyyyy people in the Maya beach. 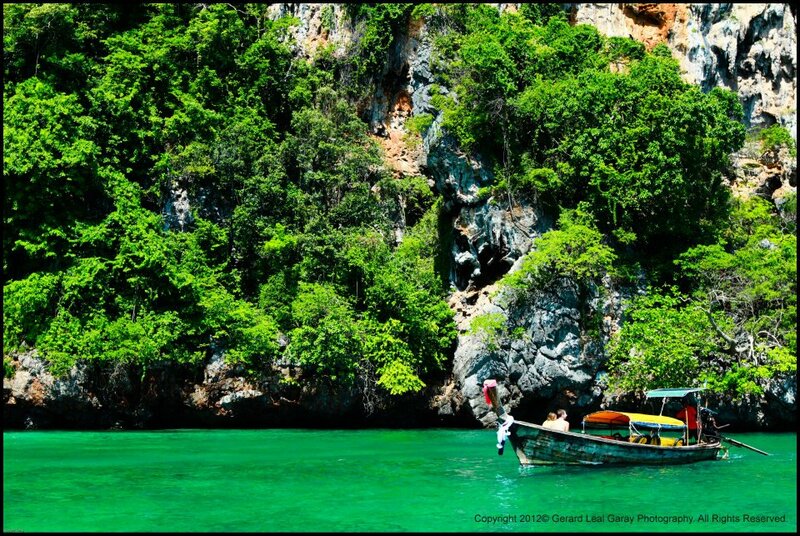 But oh gawd, I swear, that stay at Maya beach was stressful. There was no more space left for you to swim, every spot was taken by speed boats that brought the tourists. As soon as you find a space to play with the sea water, a new boat will come and you’ll be obliged to move out as if they have marked that as their territory. 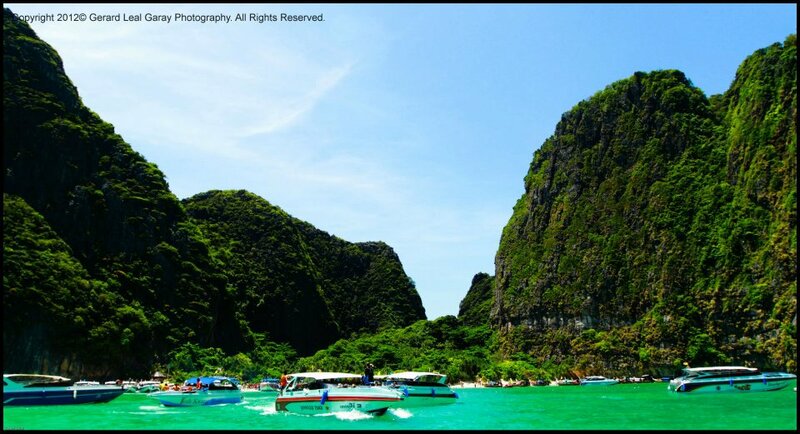 The Maya Bay has the most beautiful landscape, like a painting hung on a wall. But somehow, i felt like not staying for long, not even an hour. . For what? Swimming? I just said we can’t. Sun bathing? You wish. 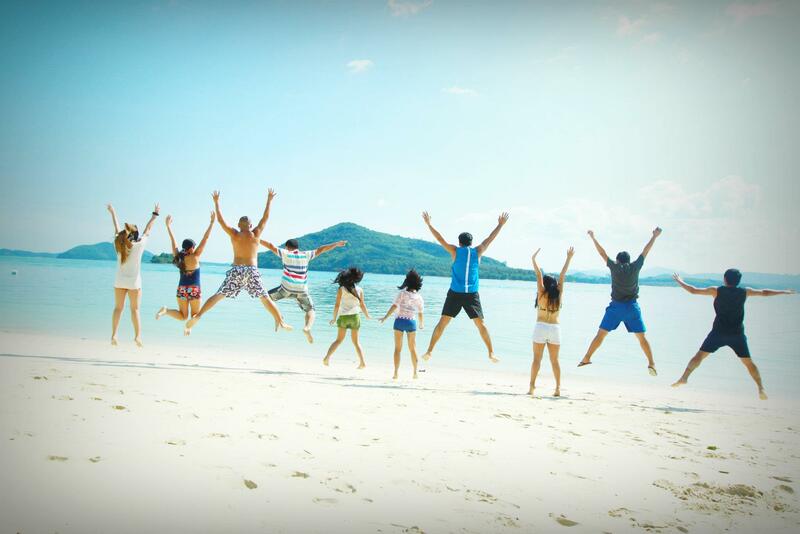 Everyone are standing on the shoreline without doing anything as if they are all waiting for the tour guide to yell at them “it’s time to go”. It’s just so crowded; I still can’t get over with it, haha. . Gladly we decided to stay at the long beach stretch (which i still don’t know by the way, haha) which is a lot more serene. I hope we just booked in a bad timing that’s why we had that oh-so crowded encounter. I hope it doesn’t get as crowded as that the whole year. 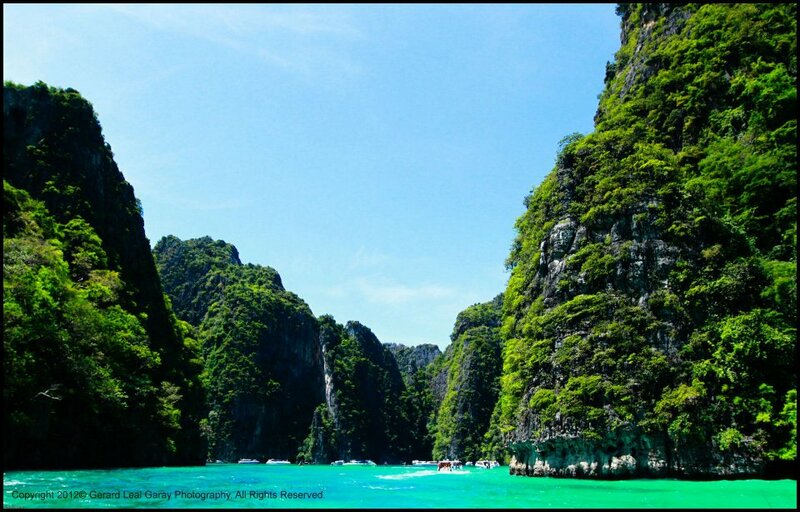 I still recommend you to see the Phi Phi islands and be magnetized by its beauty, just try to avoid the peak days, i guess. .